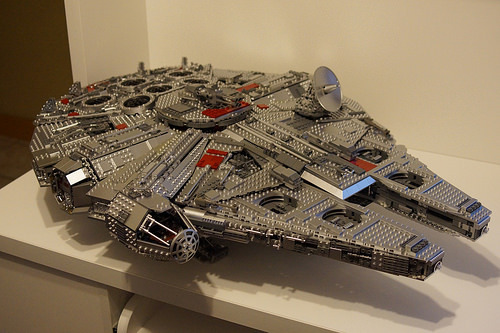 Aureliusz Falowski took the already expensive UCS Millenium Falcon model and replaced all the light gray parts with custom metallic silver ones to create an eye-dazzling pimped out ride for the galaxy’s most dazzling smuggler. Where did he get all those shiny parts you ask? It helps that he owns the store that makes them. Check out more detail shots on Flickr.